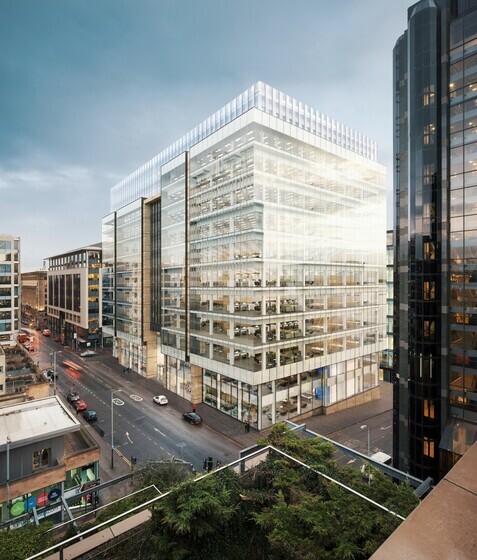 Located at a strategic gateway to Glasgow City Centre on Bothwell Street, HFD Property Group are proposing to deliver an industry leading new Grade A speculative office extending to over 200,000sq.ft. Atelier Ten are delighted to be designing the engineering services for this new speculative commercial development in Glasgow. As part of a masterplan by Sheppard Robson the scheme wraps around a city block bounded by Waterloo, Pitt, Douglas and Bothwell Streets. Atelier Ten are building on their experiences at the recently completed One West Regent Street in the city and Aberdeen’s imminent Marischal Square scheme to deliver an outstanding Grade A office space which will set new standards in office accommodation in Scotland. 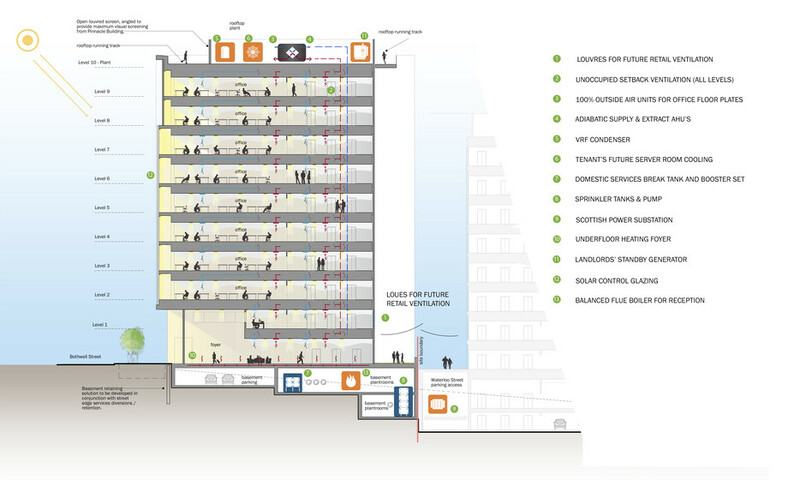 The building will feature innovative adiabatic air handling units which deliver a better quality of ventilation air whilst also benefiting from a reduced carbon footprint and lowered running and life cycle costs. The foregoing is part of an Atelier Ten commitment to deliver healthier working environments which are conducive to happier workplaces and lower absenteeism. This commitment will deliver a BREEAM Excellent accreditation with an A rated Energy Performance Certificate.